A-Z Cloud glossary terms of commonly used words and phrases that puts everyone on the same page. At Macquarie Cloud Services, we’re big believers in making everyone technologically literate while remaining enthusiastically human. Here’s an A-Z Cloud glossary terms of commonly used words and phrases, with easy-to-understand definitions for each one. Something missing? Contact us to let us know. Australia colocation is the term for using an Australian data centre facility to rent space for equipment, servers, and other computing hardware. Colocation providers offer fitted racks, cooling, power, cages, cables, bandwidth and security for the customer’s servers and storage. Colocation allows businesses and organisations to benefit from economies of scale that would not be available to them with an in-house option. Australian cloud hosting services provide hosting on virtual servers which pull their resource from networks and physical servers. It is available as a service and users can use the service as much as they need, depending on the business demands. Cloud hosting can manage high loads without difficulty and bandwidth issues since another cloud server can provide additional resources. Australian Data Centre is a facility composed of networks, computers, and storage that businesses or organisation use to manage, store, and disseminates a large amount of data. Data centres are equipped with servers, storage systems, networking switches, routers, firewalls, cabling and physical racks – along with backup generators, and centre cooling systems. 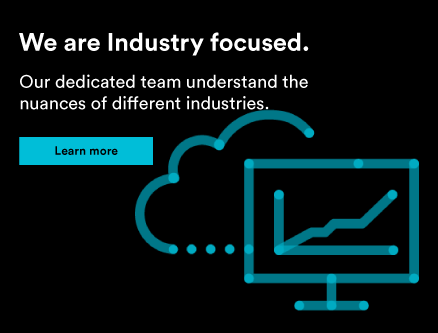 A business relies heavily on applications, services, and data contained within a data center, making it important and critical asset for daily operations. To be approved as a cloud computing provider to Australian Government agencies, the physical infrastructure allocated to government must be physically separate from other infrastructure. This means that data from private enterprises and Australian Government agencies can not be stored on the same physical server in the cloud. A virtual data centre is a collection of resources provided over the cloud specifically designed for business needs. It is a virtual representation of a physical data centre located in a virtual environment hosted in one or actual data centres across Australia. It can provide on-demand computing, storage, networking, and applications – which can integrate into an existing infrastructure. Virtual data centre allows organisations the option of adding capacity or installing new infrastructure without the need to buy or install new hardware. BaaS (backup-as-a-service) is a solution provided by cloud and IT service businesses. It enables businesses to store their data on a private, public or hybrid cloud for the purpose of disaster recovery. Business continuity is the outcome of an effective business continuity and disaster recovery plan, where your company overcomes serious incidents or disasters to continue normal operations within a reasonably short period of time. A cloud architect is an IT professional who looks after a company's cloud computing. This involves all types of cloud from public to hybrid and private. Provides hosting for applications or websites on virtual servers, which gets their computing resource from networks of physical web servers. It is available as a service rather than a product. Cloud hosting providers will manage the setup, infrastructure, security, and maintenance – allowing clients to customise hardware and applications or scale servers online as needed. 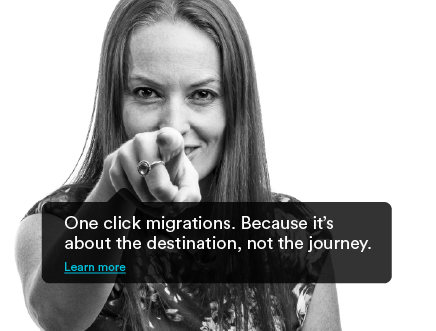 Cloud migration is the process of moving data, software and applications from an on-premise environment to a cloud environment. Refers to services provided over the Internet and made available to users on demand. It covers a wide range of resources that enable users to deploy various types of cloud services. Cloud services include migration, deployment, customization, private and public cloud integration (hybrid cloud) and managed hosting. These services can scale to meet the requirements of its users and enable them to focus on their core businesses instead of allocating own resources. 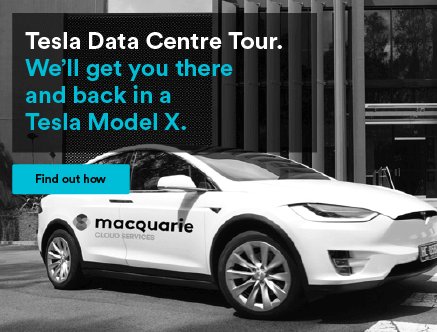 Macquarie Cloud Services built a state-of-the-art data centres in Australia that provide a colocation with scalability, flexibility, security, and reliability - backed with Australia’s best service support. Their data centres are designed with fitted racks, fitted power, fitted cables, and fitted cages – to match their customer’s needs. 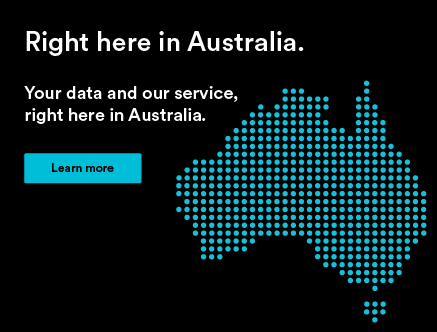 Macquarie Cloud Services has 3 highly certified data centres (Intellicentres) located in Australia, trusted by the Federal Government with 100% service level guarantee. Intellicentre 1 was their first data centre located in Sydney. Intellicentre 2 is the most certified data centre in Australia and the first to achieve up-time institute tier III certification. Intellicentre 4 was built and designed to support Federal Government’s gateway consolidation program. 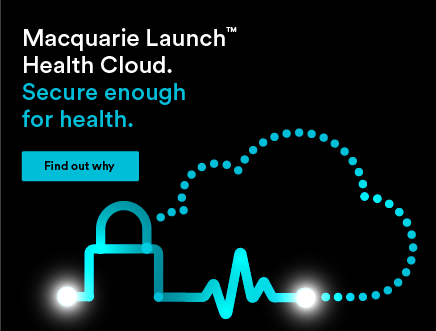 Macquarie Cloud Services offers colocation servers in Australia. Businesses and organisations can source and manage their infrastructure without the hassle of managing the actual facility. They provide certified and compliant data centres with flexible space to cater for high-scale and high-performance computing needs. Colo providers allow business and organisations to rent space for servers and other computing hardware. They provide the space, cooling, power, bandwidth and physical security - taking the hassle of managing the actual facility away from the customer. A data centre facility located in Australia where equipment, servers, and space, are available for rental to organisations and businesses. Colocation provides fitted racks, cooling, power, cages, cables, bandwidth and security for the customer’s servers and storage. Colocation allows businesses and organisations to benefit from economies of scale that would not be available to them with an in-house option. A cross connect is a physical cable in a data centre that connects two different end points. It provide connectivity between your data centre & external environments. A data center is a facility containing a large group of networked computer servers used by the Government and organisations for remote storage, processing, or distribution of data. Data centres consist of a well-constructed facility that houses servers, storage devices, cables, and a connection to the Internet. The process of moving an existing data centre environment to another data centre environment. It also refers to moving to a cloud or managed data centre platforms instead of in-house facilities. Relocating data centres need to be planned carefully to ensure proper and smooth transition – these include compatibility, backup plan, risk reduction, and testing. They provide space for servers and other computing hardware that businesses and organisations use to organise, process, store, and disseminate large amount of data. Data centres serve as physical or virtual infrastructure for business and organisations composed of house servers, storage devices, cables, and extensive backup power supply systems. Refers to a set of policies and procedures to allow organisations maintain and resume critical business functions following a natural or human-induced disaster. Businesses with disaster recovery should continue operating as possible when equipment fails. 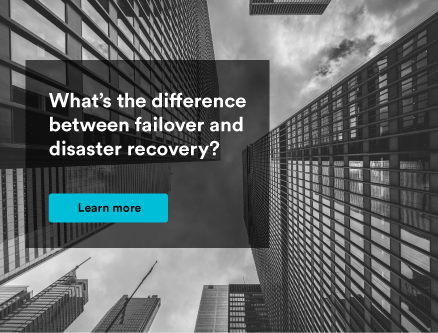 Two important measurements in disaster recovery and downtime are Recovery Point Objective (RPO) and Recovery Time Objective (RTO). RPO is the max age of files that must be recovered from backup storage to resume after a disaster, while RTO is the max amount of time for an organisation to recover files from backup storage and resume normal operations. Data sovereignty is the global acknowledgement that data collected by companies is governed by the laws of the nation that it is collected in. Dedicated hosting is a hosting which a server is leased to the client exclusively. A dedicated server is needed for a single client or sole purpose only, such as a website that needs to handle large volumes of traffic each day. This is in contrast to shared hosting, in which a server acts as a host to multiple clients. Dedicated hosting is flexible as the user has full control over the server – choice of hardware, bandwidth, and operating system. A dedicated server is a single server in a network entirely dedicated to an individual, organisation, or application. Dedicated servers can handle high traffic volume and manage resource intensive applications. In most cases, the hosting company manages and maintains the dedicated server such as operating system updates, application updates, monitoring of server, firewall, cyber security, data backup, and disaster recovery. A software development methodology that combines people, process and technology to deliver fast and continuous apps and service. Refers to the process of returning an organisation or business infrastructure to a state of normality in the event of a disaster. Different type of measures can be included in the disaster recovery plan (DRP) and classified in three types: preventive measures, detective measures, and corrective measures. A disaster recovery plan provides a structured approach for responding to unplanned incidents that can threaten an organisation or business’ infrastructure, networks, hardware, software, and people. Documented processes and procedures to recover and protect business infrastructure in the event of a disaster. It specifies procedures that an organisation is to follow in the event of a natural or man-made disaster to minimise downtime and data loss. Minimising downtime and data loss is measured in two concepts: recovery time objective (RTO) and the recovery point objective (RPO). Hybrid cloud is the combination of a public cloud provider with an on-premise, private cloud platform – designed for use by a single organisation or business. Private and public cloud operate independently of each other and communicate with an encrypted connection, which allows for the portability of data and applications. A hybrid cloud gives businesses greater flexibility and more data deployment options. The base layer of cloud computing, outsourcing your virtual machines, firewalls, physical machines, IP addresses and network to a 3rd party specialist cloud provider. Kubernetes is an open source system to manage containers across private, public and hybrid cloud environments. It was originally developed by Google as a way of managing containerised applications in a clustered environment. A load balancer improves the distribution of workloads between numerous computing resources. Managed colocation services are for businesses that do not want to deal with the hassle of managing their servers. It gives the desired level of control with the added benefit of a team of experienced engineers to proactively manage their servers, backups, disaster recovery, and security processes. Using multiple cloud services in a single architecture is an example of multicloud. Also known as multi-cloud or multi cloud, some businesses may find efficiencies in using different cloud providers for their IaaS and SaaS. Or multiple IaaS providers. Security is paramount for your cloud strategy, and this is the main concern for companies considering a multicloud strategy. NV1 is the abbreviation of negative vetting level 1, which is an Australian Government security clearance governed by the Department of Defence. An NV1 security clearance requires the applicant to provide at least 10 years of background information. On-premise vs cloud; what does it mean in cloud computing? Cloud based software is hosted off-site, while on-premise software if hosting in internal data facilities. PaaS (platform-as-a-service) is the layer above IaaS (infrastructure-as-a-service), comprising of platforms such as databases & web servers. PaaS is especially popular for developers and development businesses, as they can concentrate on developing their apps and core business, while the management of the platform is left to a service provider. Refers to a model of cloud computing where cloud services are provided over private infrastructure for the dedicated use of a single organisation or business. A private cloud provides the same basic benefits of public cloud in addition to limited hosted service while minimising the security concerns. Software as a Service is a software licensing and delivery model in which is licensed to the client. The software or application can be accessed over the Internet – usually referred as on-demand software. It has become a common delivery model for business applications including Payroll system, Customer relationship management, and Human resources management software. A virtual data centre is a pool of cloud infrastructure resources (cpu, memory, storage) that you have the flexibility to use as needed, where needed. It’s a virtual representation of a physical data centre, providing on demand storage, networking and applications. A virtual server is a server that shares hardware and software resources with other operating systems. This is in contrast to dedicated servers, which is a server that isn't shared with any other operating systems or users. 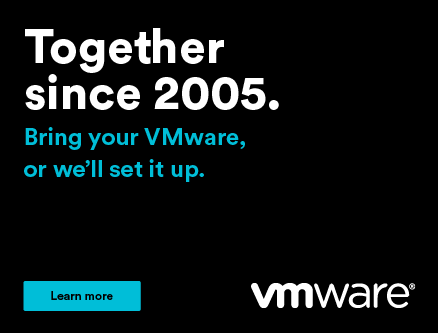 Cloud built fully on the VMware platform, allowing users or organisations to migrate to the cloud with ease and without having to switch hypervisors. It enables them to use the same tools they already know. vCloud Director enables the user to control the environment with simple technology. Powered with NSX, virtual networks can also extend directly to the cloud via layer 2 connections – maintaining existing network domain and security.